The decision to buy a house when we did was actually our 25th wedding anniversary present to each other, so losing our first choice of present was obviously disappointing. But I’m a great believer in things happening for a reason and if we had lost that house there must be a better option waiting for us somewhere. In the sweltering August sun we recommenced the impossible search. The first two days produced nothing of interest. By now we had viewed over 40 properties – an estate agent's worst nightmare! However had they have paid more attention to our requirements that list would have been halved. The third day we returned to an area where we had previously seen a three bedroom house. We had liked the house but not the location. This house was identical but in a slightly different location. “I just need to collect the key from the neighbour” our agent said. The neighbour turned out to be a couple who were former colleagues of Dave and people I knew slightly as we lived near each other until they had moved. It’s a small world! We knew they had moved to Spain after retiring a couple of years previously but didn’t know exactly where. The house was great, the location pretty good but there was still something holding us back. That evening we returned to the street and had a walk around, then headed for a local bar/restaurant where to our surprise Dave’s former colleagues were having a drink. Just to make things more interesting another retired former colleague was joining them for the evening! The bar was holding a quiz night so we formed a team and called ourselves ‘Chance Encounters’. We didn’t win but we did have a lovely time. Dave and Bev Townsend have two homes, their main one in Norwich and a second home in Playa Flamenca in south Costa Blanca, Spain which they also let as a holiday rental www.house-by-the-pool.com They run a property finding business offering a free service for those seeking to buy a property in the Costa Blanca (Alicante) or the Mar Menor area of the Costa Calida (Murcia) www.SpanishDreamProperty.com Bev has family in Spain and they intend to move there full-time in a couple of years. It’s been 18 months since changes to the LAU (Spanish Tenancy Act) were introduced, affecting Spanish holiday rentals. In this time Spain-holiday.com has been working its way across the 17 autonomous communities to find out exactly how the legislation has been interpreted and what a holiday homeowner should do to apply for their licence. Not all regions have rolled out the option to apply for a licence; the high volume tourist regions of Andalusia and the Canary Islands have draft decrees on the table, but as yet no date for publication and Murcia is yet to discuss the subject of regulating holiday rentals in the region. In this article we report on the current situation for holiday rental licence application in each region. We’ll keep the article updated as we receive information. You’ll find links to articles on regions where licence guidelines are available. The list runs in alphabetical order. 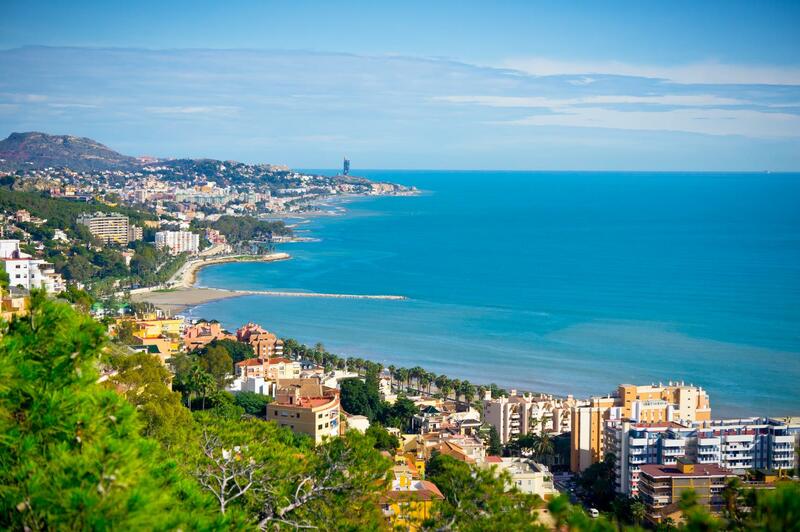 Andalucia is due to publish its version of a legislation for holiday rentals in the first quarter of 2015. The draft decree, which was published last June, does allow owners to offer a bed and breakfast service and single room occupation, but insists on Wifi, air conditioning and heating. You can read the latest update for holiday rentals in Andalucia here. In October 2013, the Aragonese regional government approved changes to the regulation for holiday accommodation in the region. Introducing ‘Viviendas Turisticas’ as a regulated tourist accommodation type, for which you need to apply for a licence. As with most regions, to apply for your licence you will need to present a Declaración de Responsibilidad (Declaration of Responsibility). The local government is actively pursuing owners who are operating without a licence with fines starting at 600 € and reaching up to 90,000 €. If you need to apply for a holiday rental licence in Aragon, you must follow the guidelines set out the regional decree for Viviendas Turisticas (holiday rentals) (Spanish text). In Asturias you can apply for your licence online, or at the local/regional Department for Tourism. Holiday homes are classified as Viviendas Vacacionales or Casas de Aldea (private country homes). Apartments are not considered within the decree for Viviendas Vacacionales and you may not offer single room occupation. Read more about how to apply for your holiday rental licence in Asturias. 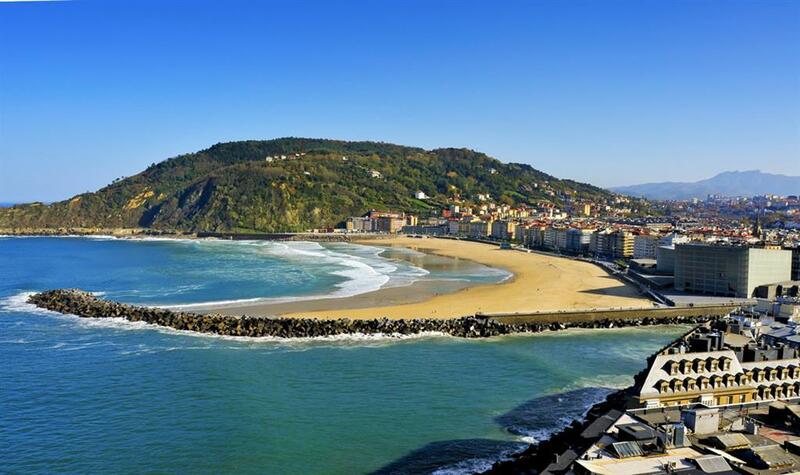 Read more about How to Apply for your Holiday Rental Licence in Asturias. The Balearic Islands government has managed to complicate their regulations for holiday rental accommodation. Here you can apply for a holiday rental licence if you own a villa or townhouse, but not if you own an apartment. The ruling has alienated many owners and alienated many holidaymakers. We understand the regional government is preparing a new decree that will further regulate the industry on the islands, but we don’t expect leniency; we understand one of the prerequisites will be for the owner to get permission from their neighbours before they can apply for a licence. A condition that owners in the Canary Islands are also contesting in the soon to be published decree. Find out what guidelines you need to follow to apply for your Holiday Rental Licence in Mallorca, Menorca and Ibiza. On January 13th, ASCAV presented their plea against 22 recommendations currently highlighted in the draft decree. The plea is in the hands of the Vicepresident; with the date for final review and publication set at the earliest March, and at the worst, after the general elections in May. Read the latest article on holiday rentals regulations in the Canary Islands. On the 22nd March 2014, Cantabria amended their Tourism Decree to regulate the short-term holiday rental market for Viviendas Turisticas (private holiday homes). This terminology now ceases to exist in the region and owners should re-register their holiday rental as an ‘Alojamiento Turistico Extrahotelero’. The foundations for applying for the registration and licence are one of the strictest we have come across. Read our article on how to apply for your holiday rental licence in Cantabria. We spoke to the Regional Tourism Department for Castile-La Mancha who confirmed that there is still no option to apply for a licence in the region. We were informed that although they are studying a change and, indeed would welcome a change, there is no definite decision made as yet. At present you are unable to obtain a licence for a private holiday home in the region. If you have a Vivienda Rural (Country Home) you may be able to apply for a licence as a Casa Rural, but you would need to take your application to your local tourism office and ask them to study your case. We will keep you informed of any updates in the region. Again, the law in Castile and Leon, does not currently allow private homes to be rented out for tourist purposes. A homeowner may rent their property out short-term, according to the LAU, but it must not be advertised through tourist and holiday advertising channels. In Catalonia, the legislation allowing private homes to be used and advertised for tourist purposes, was introduced at the back end of 2011 and the Catalan Government are organised with the administration and distribution of licence applications. One issue is the inconsistency in licence taxes being issued by each local town hall. There is no set fee, with each town hall setting its own price. And in Barcelona city they suspended the issue of licences back in May 2014, whilst it reestablishes guidelines and deals with illegal rentals in the city. 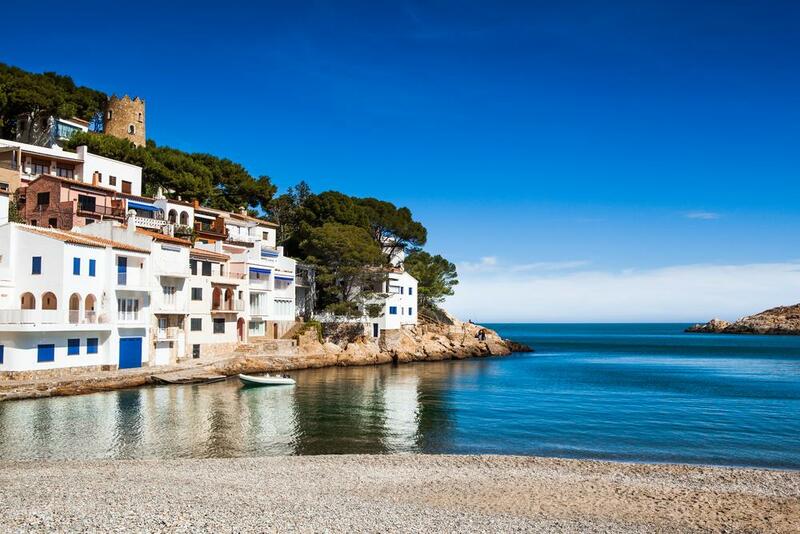 We recommend you read the following article on How to Apply for your Holiday Rental Licence in Catalonia. There are various links in the article to updated posts on Catalonia. Extremadura is another community, which does not currently have specific regulations in place for private homes to offer short-term holiday accommodation. If you want to rent your property out, you must do so under the LAU and again without promotion as tourist accommodation. The law in Galicia allows a private owner to rent their home out as tourist accommodation. An owner will need to ensure their property meets with the guidelines as set out in the regional decree, there is an application fee to pay and of course, you must declare your earnings to the tax office. Find outhow to apply for your holiday rental licence in Galicia. La Rioja does not currently allow private homes to offer short-term holiday accommodation. We will keep you informed of any updates in the region. Madrid introduced regulations at the end of July 2014. Main points to watch out for in their holiday rentals decree include the five day minimum duration and single room occupation is not permitted. Find out more about holiday rentals regulations and how to register your property in Madrid. We spoke to the Institute of Tourism for Murcia back in March 2014. They told us that it’s not currently possible for an owner to offer their home as individual tourist accommodation. However, as the region is currently revising its general Tourism Act, there is a possibility that they could introduce a ruling to allow private holiday accommodation to operate in the future. This information hasn't changed since our last update. Apartamento Turistico - whether you have an apartment or bungalow, chalet or villa (Vivienda Turistica) in Navarra, you should apply under the category ‘Apartamento Turistico’ for your licence. You need to make your licence application in the principal Tourism Office in Pamplona. There is no fee to apply, but once your application has been processed and sent to your local ayuntamiento, you may be requested to pay a fee for registering details with the local authorities. You must include your licence details in any advertising you do for your holiday rental. Visit Navarra's Registro de Turismo and click on the Apartamentos y Viviendas Turisticas link to find out how and where to apply. You can then visit the 'Normativa' page and click on the link ‘Notas sobre el Decreto Foral de Apartamentos Turisticos to download an FAQ on the process. The information is available in Spanish only. 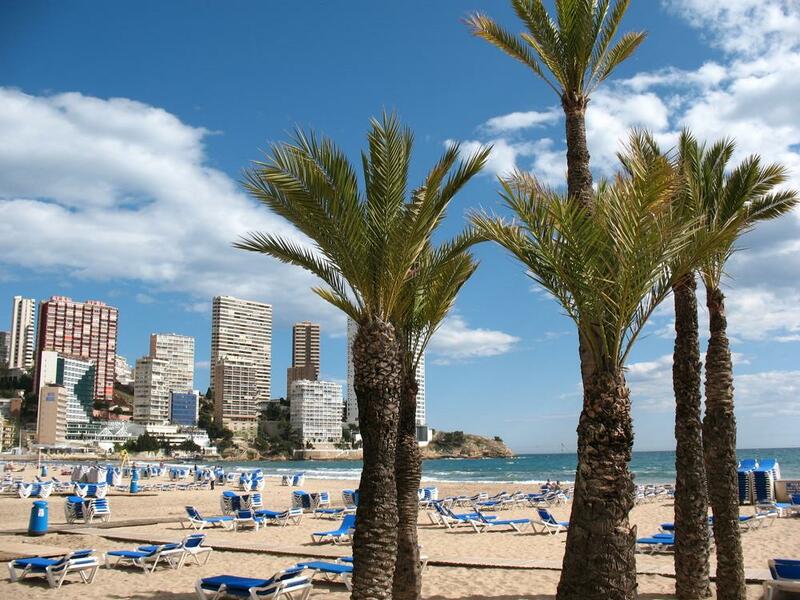 A registration system was introduced in 2013, allowing owners and agents to register their holiday rentals in Valencia, the process was recommendable but not compulsory. However that changed at the beginning of January 2015 and it is now obligatory to register your property with the Registro de Empresas, Establecimientos y Profesiones Turística. You can read all about How to Apply for Holiday Rental Licences in the Valencian Community. In our continued commitment to keep owners up-to-date with the new legislation for holiday rental licences in Spain, we’ll keep posting updates to this article as we receive them, so please keep checking back. If you are aware of changes or updates in your region, or have further information, please write to me at: louise@spain-holiday.com. Further to the information we provided in December regarding regulations for holiday rentals (Viviendas Turisticas). A modification has been published, which states that it is now compulsory for all tourist accommodation establishments, including Viviendas Turisticas, to register their property in the Registro de Empresas, Establecimientos y Profesiones Turísticas (Register for tourist businesses, establishments and professionals. Once you have your inscription number, it must be included in all advertising you do for the property. Failure to include your inscription in your advertising could lead to fines for both owner and advertising channel. At the moment the current decree still states that an owner or manager with just one property has the option to register their property. However, the modification supercedes this, stating that it is compulsory for ALL properties to be registered. We recommend you start the registration process now, because the decree could be updated at any time. If you manager 2-4 properties, you must register each individual property. If you manage five or more properties, then you must register as an ‘Empresa’ (business), rather than as an individual and include your generic inscription number, not individual property registration numbers. Registrations are accepted for apartments, studio apartments, villas, chalets, bungalows and other similar properties. Your home will need to meet the technical requirements and standards, as set out within the decree, based on its category i.e. Standard, Primary and Superior. You can also fill out your application and take it in to the post office. You must take the application in an open envelope. This is so they can stamp and date your application. Once the property is registered, you must include the registration number and category type in all advertising and promotion of the property. It’s a good idea to familiarise yourself with the Holiday Rental Decree for Valencia, although please note, that the new modification is still not written into the decree. The decree sets out the regulation of tourist homes, as stated: apartments, studio apartments, villas, chalets, bungalows, and similar. Plus management companies and agents, legal companies or individuals, who are dedicated to supplying and granting the use of accommodation for the enjoyment of tourists to the Valencian Community. Here you can download the standard registration form for registering your home for tourist use in the Valencian Community, if you are not going to use a registered agent to do so. Here you will find all the information you need regarding the different types of tourist accommodation in the Valencian Community and the rules that apply to each. Here you can refer to tourist legislation for the Valencian Community. It is also obligatory to declare your holiday rental income. To find out more get in touch with your accountant, or visit the local Agencia Tributaria (Tax Office). We have written an article in collaboration with a financial expert on Declaring the taxable earnings and IVA from your Spanish holiday rental, this gives information on what you must pay, when and how. Our Spanish Dream - Part 10: Not So Simple! You know what they say about the best laid plans of mice and men… The offer was accepted on our ‘perfect’ house. We signed various agreements and went to the notary to grant power of attorney for most of the purchase proceedings, but not for the final day, we wanted to be there ourselves to sign the purchase forms at the Notary on completion day, set for 12 weeks’ time. We paid over the 3,000 euros deposit and a date was agreed for the second payment. The vendors were a Spanish couple who were selling their weekend holiday home as the wife was sadly terminally ill. Although very sad for this couple that we had never met we knew that selling their second home would be a relief to them, freeing up much needed funds and making things less complicated for the husband. He signed the forms but she was taken into hospital with unexpected complications. Without her signature things couldn’t complete but our solicitors worked with theirs to do as much of the work as possible. They expected the lady to be out soon so she could attend the Notary and give power of attorney to her solicitors to sign everything on her behalf in the future. Then the phone call came – the lady had died. I felt guilty at being so disappointed, after all losing the house was nothing compared to what the poor man had lost. It wasn’t going to be possible to continue with the purchase so we were back to square one. In the normal course of events when buying a property both seller and buyer deposit 3000 euros with solicitors. Whichever party pulls out loses their deposit. However as the lady had never signed anything both deposits were still held by our own solicitors, not paid over, and in the light of the tragic events it was agreed that the best option was to just each settle our own solicitor’s costs to date, it was a financial blow but a relatively small one in the grand scheme of things. However, when we returned to Spain for our next house hunt we felt much wiser, more knowledgeable and more confident about pursuing our dream. Price: €80,000Description: LAST REMAINING PROPERTY. CONTACT US TO ARRANGE VIEWING TODAY !!!! A 3 Bedroom, 2 bathroom, key ready townhouse built to a very high standard set on the edge of the village of Balsicas which has excellent road and rail links to all of the major towns and cities throughout Spain. The beautiful beaches of the Mar Menor and Murcia/San Javier airport are also only a 12 minute drive away. The property has front and rear terraces, large lounge/dining room, shower room, 1 bedroom, kitchen and utility area on the ground floor. A staircase leads to two further double bedrooms, each with a balcony and a family bathroom. A further staircase leads to the solarium. We started looking mainly at 2 bedroom apartments and townhouses, large enough to accommodate a sofa bed in the lounge and for six people to be able to stay comfortably. Armed with a ‘score sheet’ for each property we began the search. Despite having a very clear criteria this was our first lesson in estate agents showing you what they want to sell rather than what you want to buy. Slowly we began to convince them to rule out areas and styles. No-mid floor apartments, it had to be either ground floor with a garden or upper floor with a solarium (roof terrace) as we wanted more than just a balcony. Although tempting to go further back as the properties were generally bigger for the same price, we wanted within a mile of the beach. Some of the pools were not just out of sight but over a minutes’ walk away – no good at all. Some just had an alley between you and the opposite neighbour, far too close for comfort. We dismissed property after property after property. We were really leaning towards a townhouse now rather than an apartment but began to wonder if, within our price range, there was a property matching our requirements. At best the scores were hitting 7/10, most considerably less. If the house was good then the location was wrong or the pool too far away. If the location and pool were good then the house was too small. Then one day we hit the jack-pot. We actually found not one but three possibilities! That evening we sat and studied the details of all three again and again. We listed them in preference order and the following day made an offer on number one, the property that really did score a 10/10. This was it, we were actually about to buy a house in Spain! So we found ourselves back on the coast. We figured if we were going to buy in the ‘concrete jungle’ then we wanted to be sure we were buying the right property in the right location. We held a family brain-storming session on exact requirements, with three teenagers to consider we thought there may be problems accommodating all our ‘must haves’ but we made the list anyway. We figured that if it managed to fulfil all our buying requirements then it would suit other families looking to rent it for a holiday. 13 year old son: must be next to the pool so he could go there independently (he is severely visually impaired and loves to swim). 18 year old son: no major roads, or preferably none at all, to cross between house and nearest bar and absolutely must be walking distance to the beach. And so the search began. It was 2006, prices still rising and the building boom was still booming. There was talk that the ‘bubble would burst’ at some point, but everyone was confident that the prices wouldn’t fall, just a slowdown in the rate of new building. The exchange rate was a heady 1.45+ euros to £1. Cafes, bars and restaurants were thriving and life in the sun was good. Description: Reduced from 117,000 to 107,000 - This spacious 3 bedroom, 2 bathroom townhouse is situated on a gated development, within walking distance of a great selection of local amenities and the beach. The property consists of a tiled front garden, a lounge/diner with open plan fitted kitchen, rear terrace and downstairs bathroom. Upstairs is the family bathroom, a twin bedroom, a double bedroom and a terrace. Stairs lead up to the large third bedroom with sun terrace. This property also benefits from a communal pool, hot and cold air conditioning and off road parking.